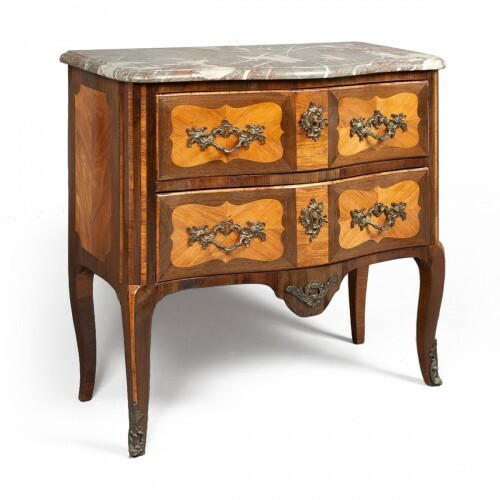 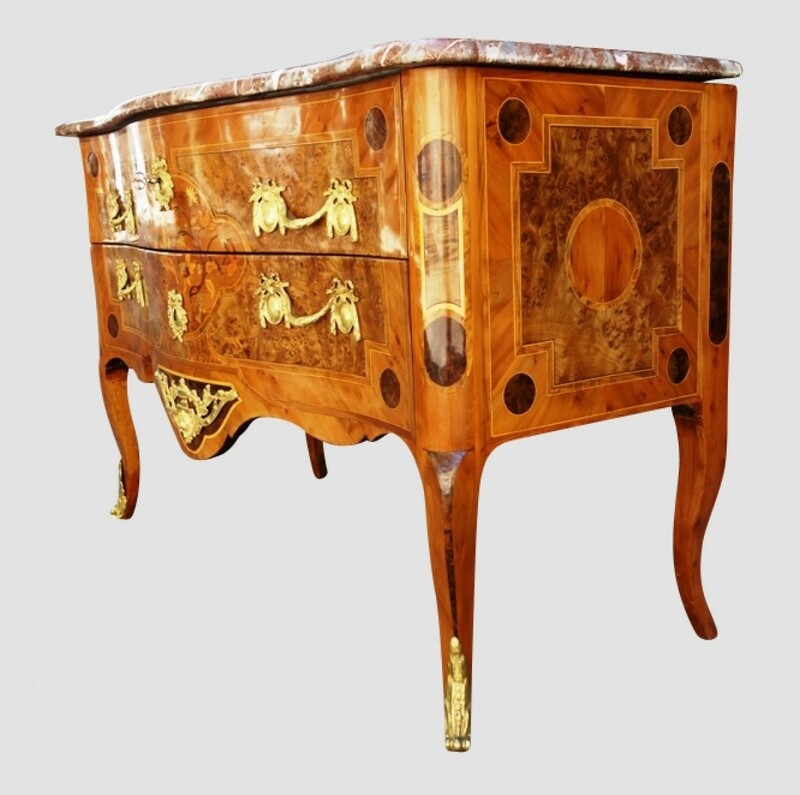 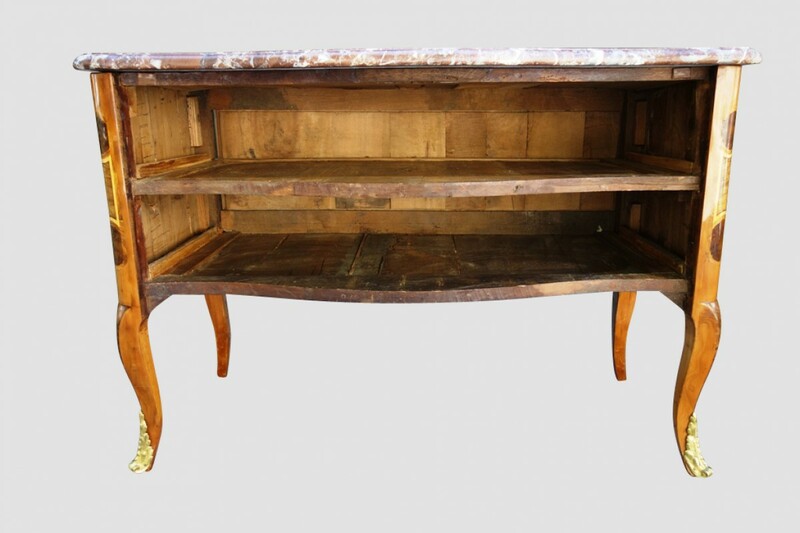 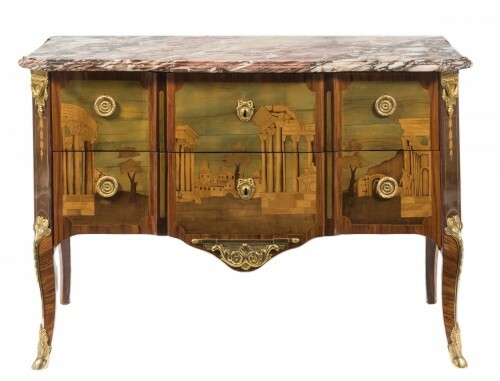 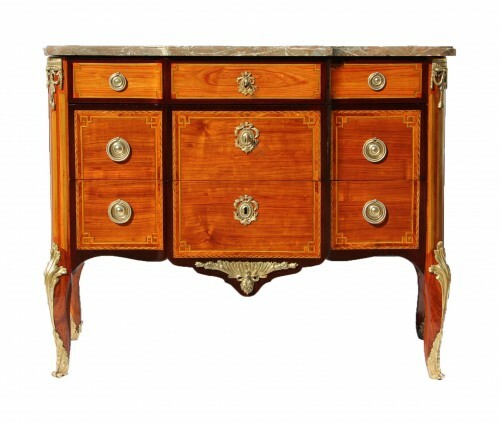 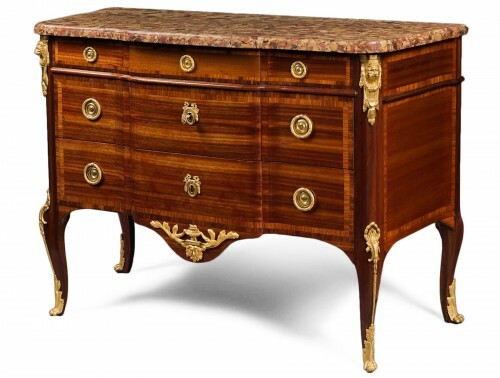 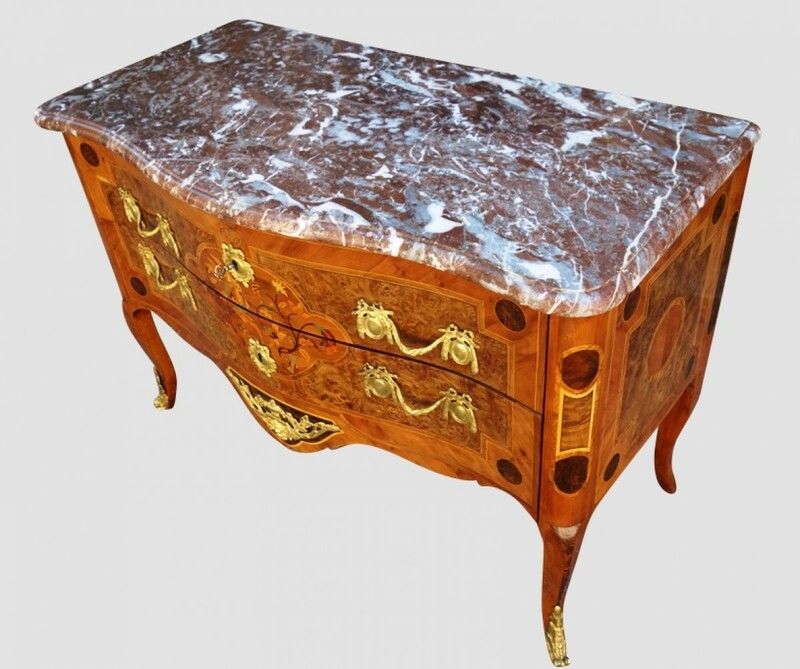 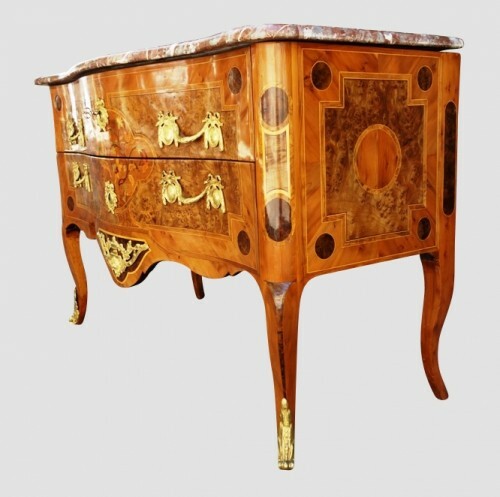 18th Century Transition period "sauteuse" chest of drawers in marquetry from the Grenoble region. 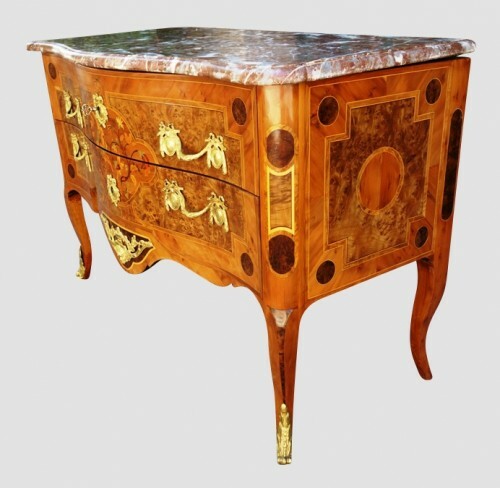 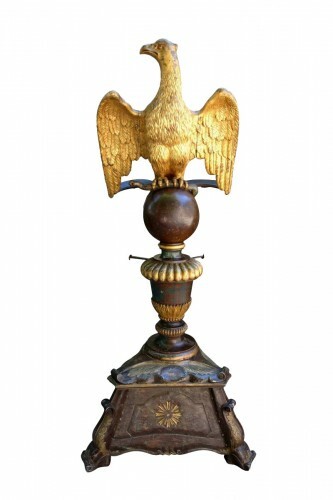 Richly decorated with a bird pattern. 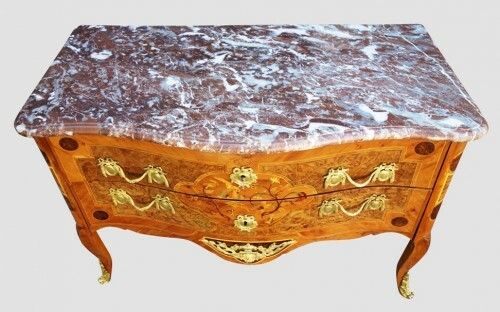 Marble top. 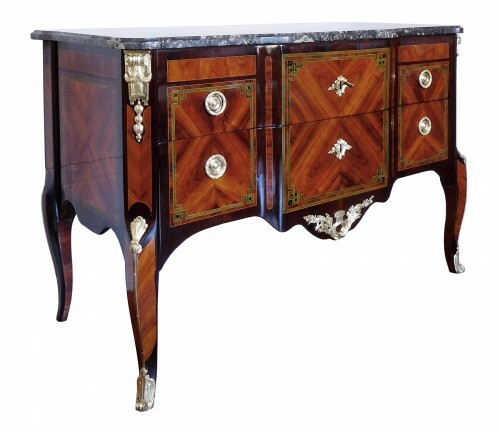 Bronze decoration, handles and keyholes. 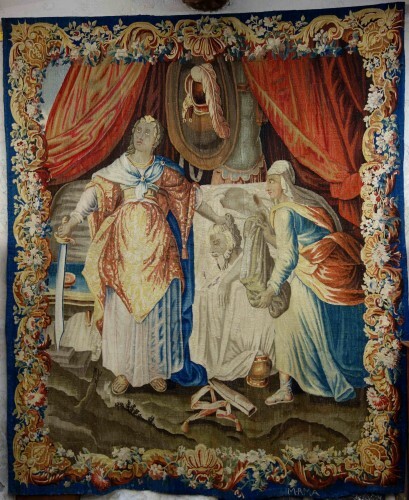 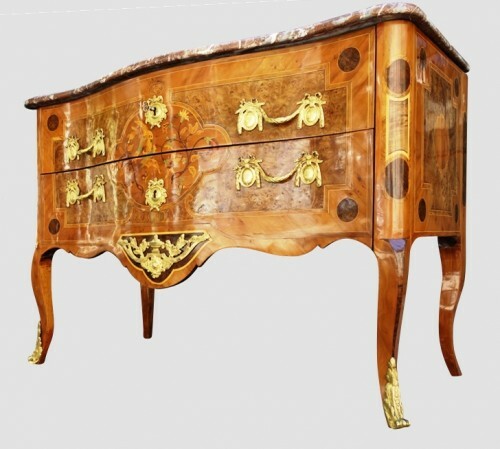 Although the wood, pattern of the marquetry and structure reminds one of the work of Jean Francois Hache, attribution is not certain. 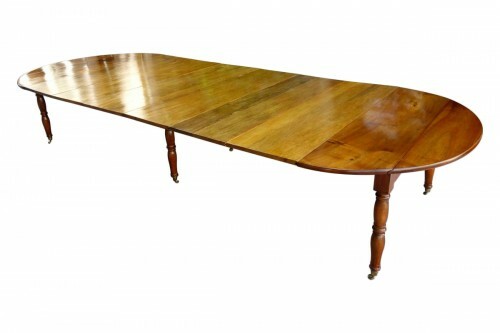 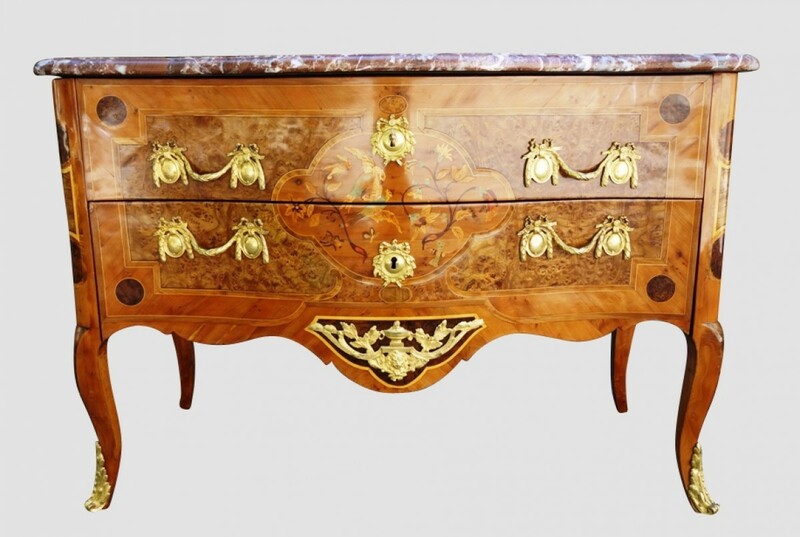 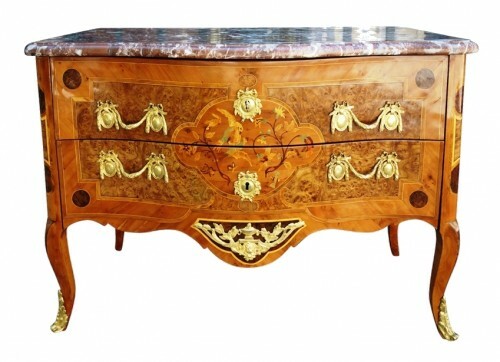 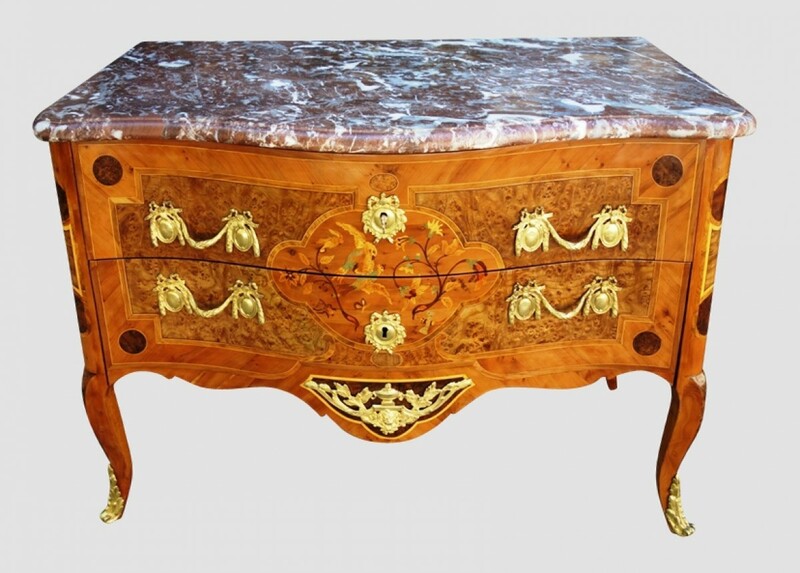 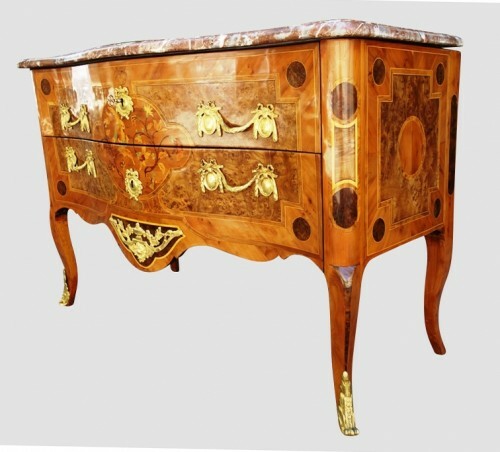 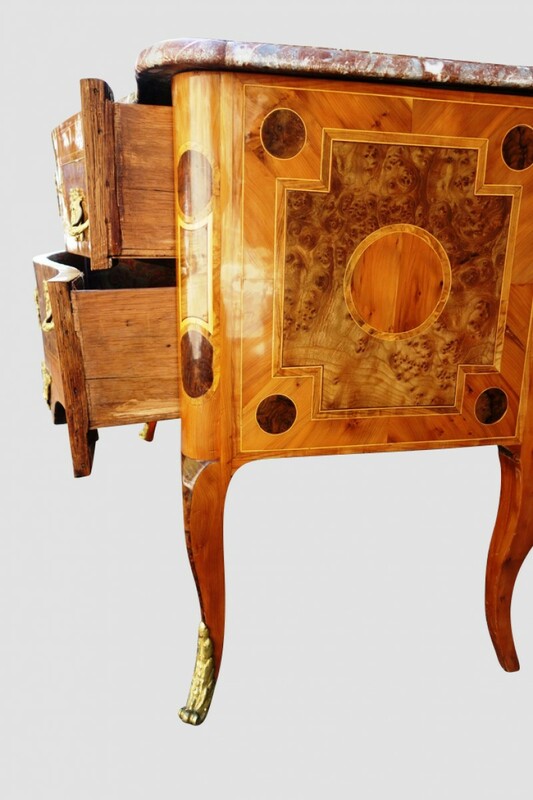 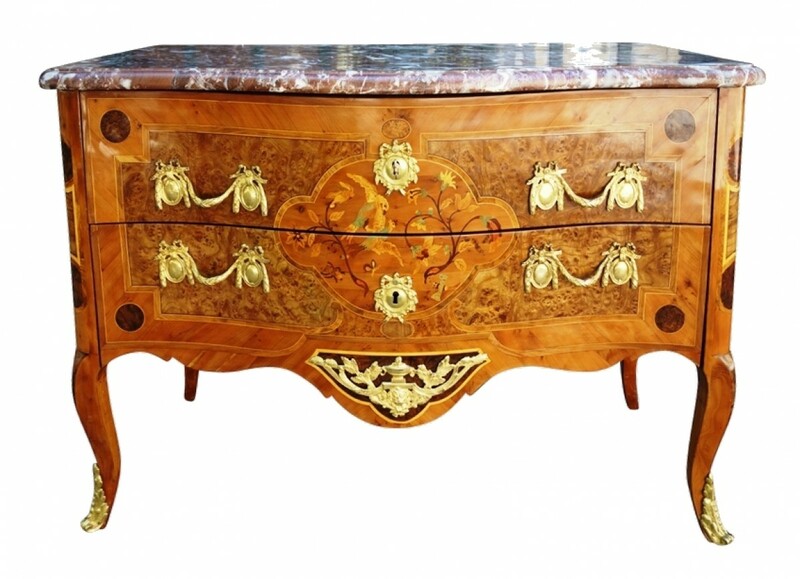 However we are certain that the chest is exceptional and illustrates the talent of the best cabinet-makers of the Grenoble region.